Dimensions 13 in. x 7.5 in. x 9 in. High Tech Synthetic Protectant ... for the ultimate in transmission performance! • Reduce HEAT - the #1 enemy of a transmission! 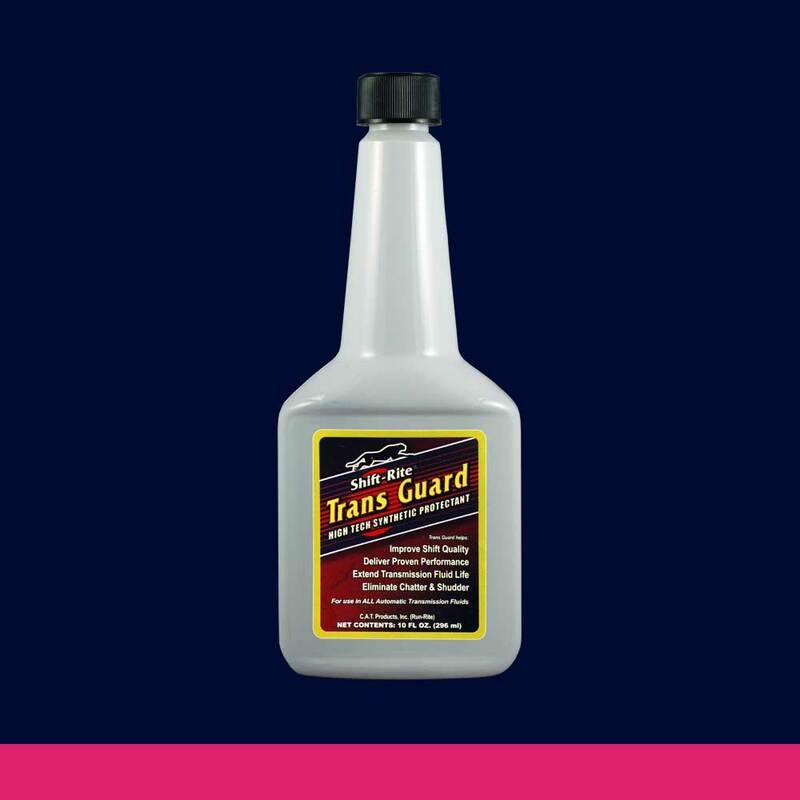 For use in ALL automatic transmission fluids! Shift-Rite Trans Guard reduces HEAT - the #1 enemy of a transmission! It also will help reduce wear, sludge and varnish. Trans Guard can help prevent oxidation, clutch chatter, torque converter shudder, and sticking valves and governors. It improves shift quality and can extend the life of ALL automatic transmission fluids. Usage Guide: For use with ALL automatic transmission fluids. Add Shift-Rite Trans Guard to the transmission through the dipstick tube. Check fluid level and adjust as needed - do not overfill.